GE’s Whatman Grade GF 8 glass microfiber filters are used for filtration of coarse particles. GF 8 offers faster filtration and a higher air flow rate compared to the similar Grade GF 9 filters. Whatman Grade GF 9 glass microfiber filters from GE Healthcare’s Life Sciences business are strengthened with an inorganic binder for environmental analysis of coarse, heavy samples. 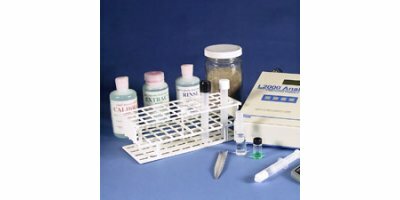 The CLOR-N-SOIL field screening kit detects PCB in soil samples. In 10 minutes the test will tell you if your sample contains greater or less than 50 ppm PCB. The kit can test any kind of soil including sand, topsoil, sediment and clay. By Dexsil Corporation based in Hamden, CONNECTICUT (USA). EnviroGard is a rapid field or laboratory enzyme immunoassay method for the analysis of soil and/or water for remediation, assessment, and industrial testing. It uses an antibody coated test tube or plate technology to detect the analyte of concern. The method can be used to test for analytes such as pesticides, Microcystins and PCBs. The many steps involved in sample preparation can now be automated with ASE flow-through technology. Filtration and clean-up of solid samples can be achieved as part of the solvent extraction process in a single step. 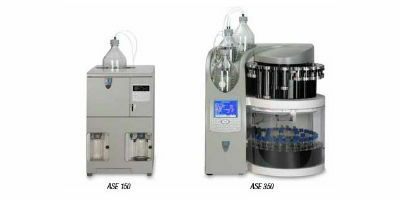 ASE offers a lower cost per sample than other techniques, reducing solvent consumption by up to 90%. Portable, fully integrated visual inspection tool. Two Systems in One. Inner reel contains small camera with a more flexible cable for those small access inspections with tight turns; outer reel has a larger camera with a stiffer cable for larger inspections. The Thick-800 is a non-destructive testing solution for organizations that need accurate quality control of printed circuit boards and electronics. Testing capabilities include multi-layer thickness measurements and RoHS testing of solder joint. By Skyray XRF based in Seaford, DELAWARE (USA). This field test kit has become the standard in testing for PCBs in insulating fluid. CLOR-N-OIL is fast, accurate, inexpensive and easy to use. The test kit is available for testing transformer oil at action levels of 20, 50 and 500 ppm.